A simple and attractive image portraying the beautiful relationship between a sister and a brother. A brother is also a father, friend, mother and more than any relationship. Having a good brother could be the best thing in life. 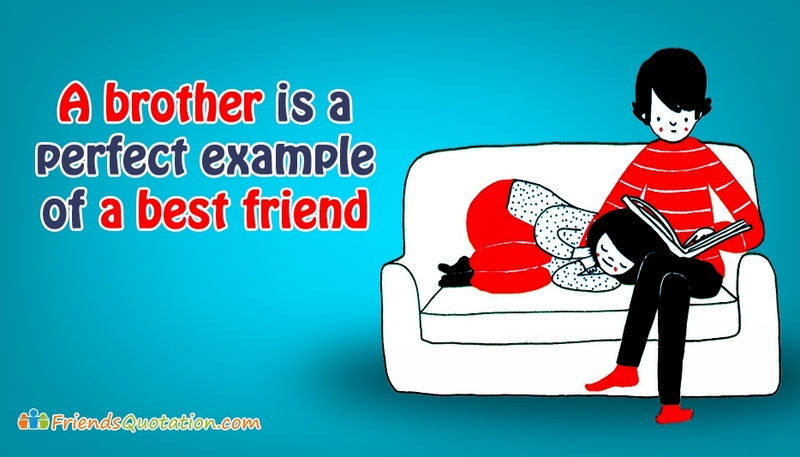 If you feel blessed to have such a brother, then share this "A Brother is a Perfect Example of a Best Friend" image from friend quotation for free.